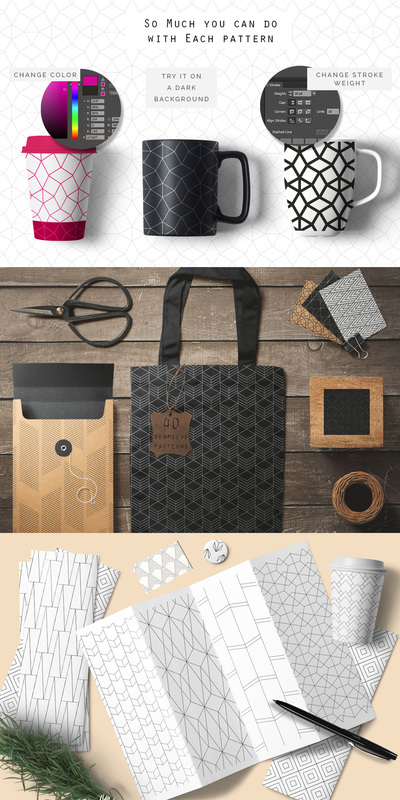 • When you need a pattern to complement your designs but not take the leading role. • When a minimal, distinct approach is the way to go in a project. • When you like a light, modern and edgy pattern to enhance your creations. So easy to customize with endless creative outcomes! 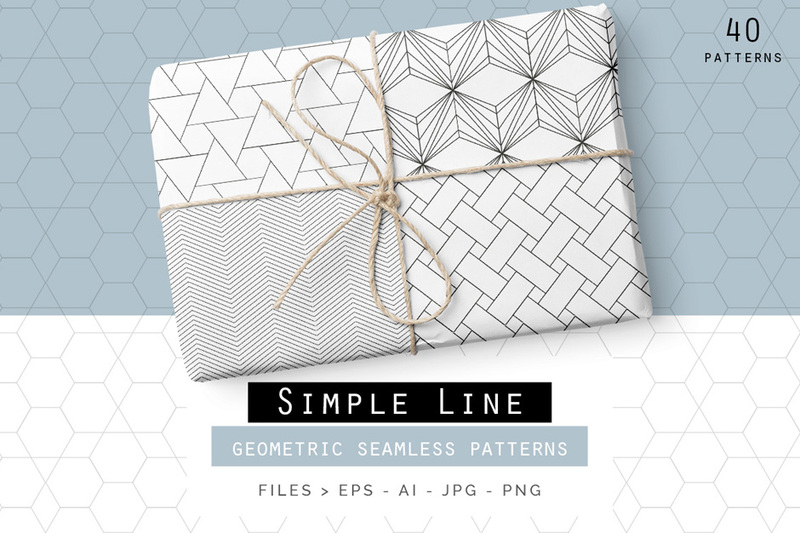 Use them as backgrounds for Business Cards, Wedding Invitations, Packaging projects, Fashion projects, Websites, fabric, crafts and so much more! Software compatibility: Adobe Illustrator CS6 and newer. .EPS files will work with a variety of programs such as Adobe Photoshop or Illustrator, Sketch, Affinity, Corel Draw, etc. .JPG and .PNG files will work with most graphic software. File size is approx 109MB (132.3MB unzipped), offered as a single download.